This New Girl wallpaper might contain hifadhi ya benchi, benchi ya hifadhi, hip boot, and thigh boot. 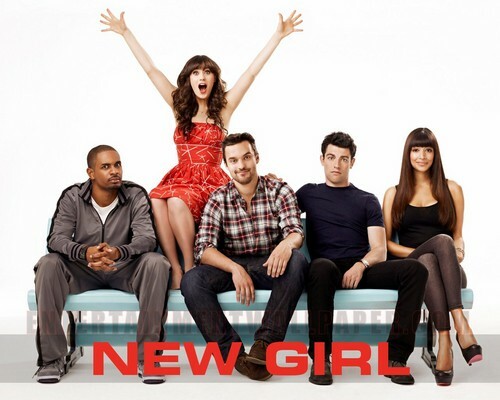 New Girl Cast Promotional picha - Zooey Deschanel as Jess. "Are wewe gonna murder me?"